The Arch is a six-metre high Roman travertine sculpture positioned on the north bank of the Long Water. 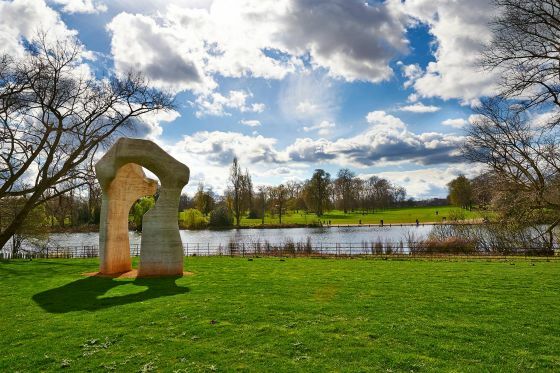 It was presented by the artist Henry Moore to the nation for siting in Kensington Gardens in 1980 - two years after his eightieth-birthday exhibition at the Serpentine Gallery, London. 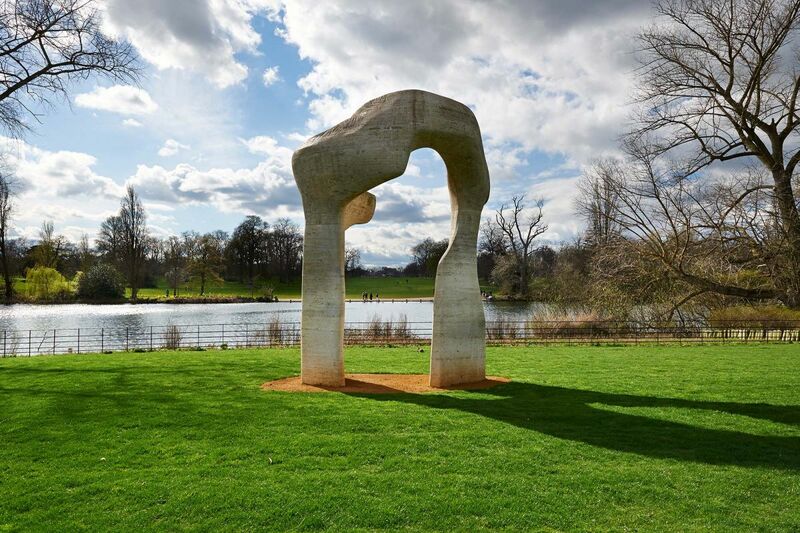 The Arch is made from seven travertine stones weighing a total of 37 tonnes. The stones were sourced from a quarry in northern Italy. After being disassembled in 1996 due to structural instability, The Arch has been recently restored at its original location in Kensington Gardens by The Royal Parks and The Henry Moore Foundation. In 1996, it became apparent that The Arch had become structurally unstable and it was carefully dismantled and put into store. Discussions were ongoing about the restoration work needed to reinstate it. 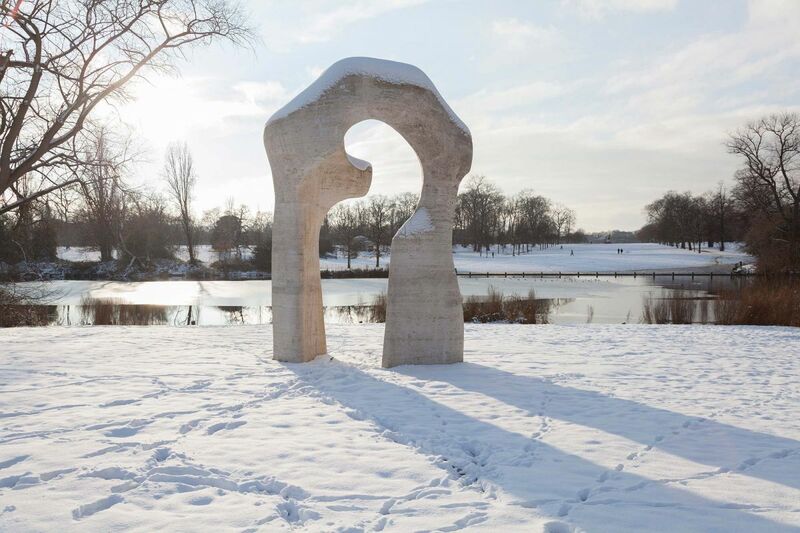 From the outset, The Royal Parks and The Henry Moore Foundation - a charity set up by Moore during his lifetime - worked closely. In the sixteen years leading up to the successful restoration, The Henry Moore Foundation has given guidance in the form of specialist in-kind conservation support and funded decisive engineering studies. 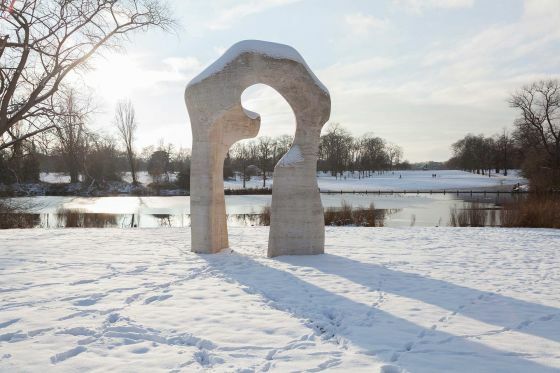 The Royal Parks began a final project in December 2010 with partners at The Henry Moore Foundation to determine if, given its previous problems, it was possible to return the sculpture to the Gardens. sourcing travertine stone from the same quarry in northern Italy to make repairs to the structure as natural as possible. 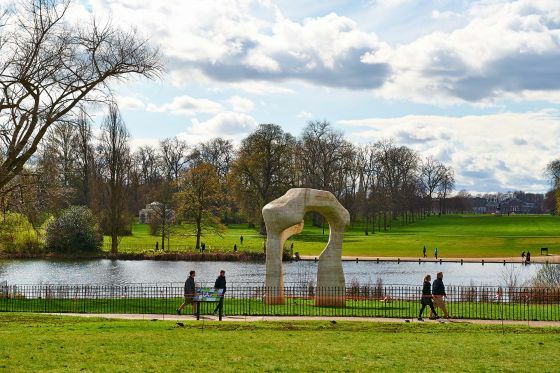 Following the success of this work and the restoration of the stones, The Arch has been rebuilt in its original location in Kensington Gardens during July 2012.